One hundred years ago Massachusetts had no wolves - they had been hunted to local extinction. Coyotes were not here yet. Their natural territory was mostly west of the Mississippi River. 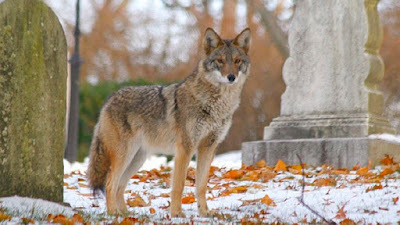 During the middle of the last century coyotes started appearing in upstate New York, and as time went on spread to the New England states. Today, most town woods, parks and golf courses have coyotes in residence. Sightings are common within Boston city limits. 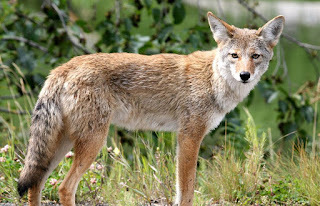 Estimates are that there are 5,000 to 10,000 coyotes in Massachusetts. But are these western coyotes migrating east, or something else entirely? The answer – something else. 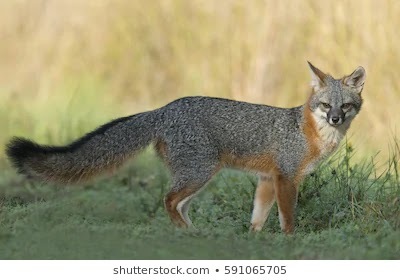 Anyone who has visited the southwest knows the coyote as a 25-35 pound predator and scavenger more comfortable in open country than woodlands. What we have locally are coyotes, more on the order of 35-55 pounds. Their coats are thicker. Their jaws are wider and stronger. 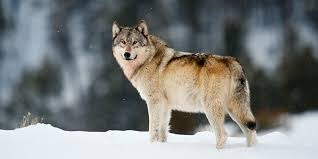 Typical coat color is a grizzled gray but can vary from creamy blonde to red or nearly solid black – the same color range seen in wolves. In the vacuum left by the absence of wolves, they are the apex predator. Although much of what they eat is still small game and fresh roadkill, they are successful hunters of deer. As it turns out, our local coyotes are coyote-wolf hybrids. DNA analysis confirms that coyotes migrated from the mid-west northward into Ontario and Quebec 80-100 years ago, where they mated with remnant populations of red wolves. Small numbers of these coy-wolves crossed the St. Lawrence Seaway to New York, either during winter ice-over, or perhaps on bridges. This fast-spreading, east-spreading population has been referred to as a “hybrid swarm.” Purebred “western” coyotes also moved east across Ohio and western Pennsylvania, but more slowly, and without the size change. Earlier arguments that what we see in the east are coyote-dog hybrids does not stand up to examination. Genetically, the animals are about 30 percent wolf, perhaps with a trace of dog genes. Coyotes and wolves mate in late winter for spring litters, plus males actively partake in feeding and caring of pups – two traits not seen in dogs. What does it mean that wolves, in the form of these coy-wolves, are in New England? Hunting pressure by coy-wolves is beginning to slow the runaway deer population. Ditto the Canada geese population, although purebred coyotes manage that just as well in the midwest. Pressure is also increased on the feral cat population, and probably wild turkey, rabbits, opossums, woodchucks, etc. In suburban and urban areas the culprit tipping over garbage cans is more likely to be coyotes than raccoons. Being a good neighbor to your local coy-wolf means not putting food outside for your pets. Or for that matter, your pets. Letting a cat out for the night is bad odds for getting that cat back in the morning. Walk your dog on a leash, especially in the woods. At home, a five-foot fenced yard should be enough to protect your pets, chickens, and other animals. Coyotes and coy-wolves are less adverse to living near human habitat than pure wolves, but they still tend to be shy. Although preferred hunting time is late evening and early morning, a coyote hanging out in broad daylight is not necessarily a sick or rabid animal. Still, peace of mind recommends reporting to the police, who will forward the information to an animal control officer. A recent item in the Stow police blotter had an officer reporting to a daytime coyote sighting, and chasing it away by throwing snowballs. Winter coyote sightings will usually be of individual animals. In spring, coyotes pair up for mating, and then raising the pups. From mid-summer into fall sightings can include one or both parents with the pups along for hunting lessons. By fall the family unit can resemble a wolfpack, as the youngsters are nearly adult size. Dispersal occurs in late fall, with the now-adult animals wandering many miles to find a territory not already claimed by a mated pair, and then find a mate. More people hear the yipping of coyotes than ever see one. Jonathan G. Way has spent years studying coyotes in eastern Massachusetts and elsewhere. His book, Surburban Howls, is a great read. He is trying to establish a no-hunting, coy-wolf wildlife refuge on Cape Cod. He also operates www.easterncoyoteresearch.com as a very informative website.